​We are delighted to be a part of the exciting line-up of events celebrating Scotland’s young people next year. 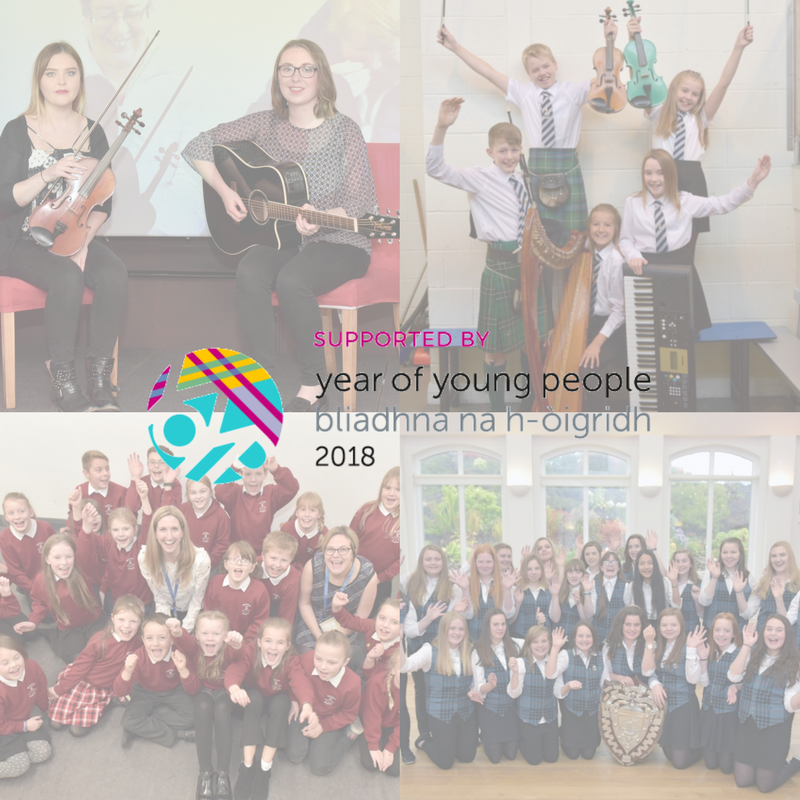 Keep an eye out for updates on what we have planned for #YOYP2018 in the new year. Check out www.visitscotland.com/yoyp2018 for more information on the different events taking place throughout the year. ​An Comunn Gàidhealach acknowledge the tremendous effort made by Paisley in the bid to become the UK City of Culture 2021. The fact that Paisley was ultimately unsuccessful should not detract from the optimism and creativity that was evident in their application. During the recent Royal National Mòd in Lochaber, it was confirmed that should Paisley’s bid to become the UK City of Culture in 2021 be unsuccessful we would review the two bids that we received to host the 2021 Royal National Mòd. These bids were submitted by Paisley and Perth. Both bids will now be scored and the bid that achieves the highest score will be offered the opportunity to host the 2021 Royal National Mòd. Once this outcome is confirmed the remaining bid will be asked to host the 2022 Royal National Mòd. The outcome will be announced by An Comunn Gàidhealach at the Annual General Meeting in March 2018. “Although Paisley was not successful in becoming the UK City of Culture 2021 we wish to congratulate the bid team on submitting such a professional and creative bid.